Being Honest with Your Senior About Your Challenges and Limitations - All Care Hawaii. LLC. When you are beginning your journey as a family caregiver for your aging parent, it is extremely important, to be honest with yourself about your abilities and any limitations that might keep you from giving your parent the level of care that they need. This ensures that you do not get into potentially dangerous situations and prevents stress that could result in burnout by acknowledging what you can do for your parent and allowing you to make arrangements to fill any care gaps that might exist. When you have identified these challenges and limitations, it is important that you are then honest with your senior about them so that together you can ensure that your parent’s needs are addressed in the way that is right for them. -Think it through thoroughly first so that you can be straightforward and clear with your parent. Ambiguity can cause confusion and lead to difficult situations. Be aware of what you can and cannot do so that you can discuss these issues directly and openly. -Assure your parent that you love them and what them to have the highest quality of life possible. Help them to understand that any limitations that you might have is not about you not caring about them or wanting to help them. -Let your parent know that being honest about these limitations is a way to ensure that your parent will get what they need, including care from a senior care provider if needed. Starting elderly care for your aging parent can be one of the best decisions that you make for them during the course of your caregiver journey. 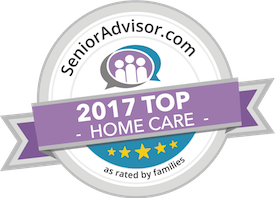 A senior home care services provider can be in the home with your parent on a fully customized schedule to ensure that they have continued access to the care, support, and assistance that they need to live their highest quality of life. A highly personalized set of services will be tailored specifically to your parent’s needs, challenges, and limitations to ensure that these are met and addressed in the way that is right for them. This care provider will help them to manage these needs while also encouraging them to live a lifestyle that is as active, engaged, and independent as possible throughout their later years. As a family caregiver, this will give you peace of mind knowing that your parent will have everything that they need to live a happy, healthy, safe, and fulfilling life as they age in place. Have questions about elderly care in Kaanapali, HI? Contact the caring staff at All Care Hawaii today.